“Getting to Know You” Blog Hop! Hello, and welcome to the Getting to Know You Blog Hop. We have an eclectic choice of bloggers for this hop and it will run from January 29, 2013 to February 1, 2013. I’d like to thank Vicki M. Taylor (http://vickimtaylor.blogspot.com), the author and blogger who created this hop and made it happen for all of us. Let’s get started on getting to know me. I was born in Kochi, Japan and grew up in Washington State. I always loved being near the water…something dreamy about it. I started writing at age 12 as an expressive outlet, first poetry and then later on, song lyrics, stories, blogs and books. Mystical journeys like The Pilgrimage and The Alchemist by Paulo Coelho, The Camino by Shirley MacLaine, Star Woman and Jaguar Woman (etc) by Lynn V. Andrews, mystery/chick lit like the Sookie Stackhouse series by Charlaine Harris, the Stephanie Plum series by Janet Evanovich, and YA fiction (beloved by grown-ups too) Harry Potter, of course. Shel Silverstein’s Where the Sidewalk Ends. I also adored the Serendipity books, which were magical tales about animals both real and imaginary. Are the names of the characters in your novels important? They’re important in that they are all codenames or nicknames, to protect the innocent. Do you ever wish you had an entirely uncreative job? I have never ever wished that, and never would. Writing is my dream job, and I live the dream every day. Remaining sane requires giving yourself permission to really delve in to your craft, being open to suggestions, as well as having ways of completely separating oneself from writing, i.e. other hobbies and interests that have nothing to do with it. You have to be able to close the door on it and leave it in that room on occasion (hopefully you have a writing room or a space in your room just for writing). I also can’t stress enough having a peer group of people you trust, who won’t get jealous of your talents and skills and also won’t blow smoke, meaning they will be honest with you about your writing, whether it sparkles and shines or needs some polishing up. Collectively, my education taught me that people should follow their hearts regardless of what anyone tries to tell them. Take advice with a grain of salt, because that is one person’s opinion and their scope is limited to their perspective. Only YOU know yourself the best. I have two: Stephen King, who wrote On Writing and knows how to write a gripping scene that keeps readers up all night reading! Also, Hal Zina Bennett’s Write from the Heart: Unleashing the Power of your Creativity. He’s a wonderful writer and his books are deep, meaningful and spiritual. He was very encouraging and inspiring to me in the writing of Ninja Nanny. I had looked forward to today for what seemed like eons. I’d practiced for it for same. I was to face an actual ninja in the secret dojo underneath the gym where I worked out! I practiced my jabs, upper cuts and back fists, preparing for what was to come, and then moving on to kicks. This was the first time I’d dressed all in black to spar. I was nervous as hell, but vowed not to show it. We were allowed to use hands and feet only, no weapons. There was only one rule: I was to disable my opponent by any means necessary, but if either of us got seriously injured, we had to stop. I didn’t know which direction he, or she, would be coming from. There were mirrors everywhere and four entryways, sans doors. I stood in the center of the room, waiting, breathing, grounding and centering. I imagined the strength of the planet coming up through the earth and floor into my feet to assist me and give me power, balance and stamina. I self-checked, making sure I was alert but not stiff. I had to keep flexible and loose, ready for anything. It was official. I was in the zone. …Don’t give away your moves. So to that end I let him come at me, waiting to see what he’d do before I responded. He was so fast, his wiry body whirring with energy—almost too fast to see. Almost like the Tasmanian Devil from cartoons. Suddenly, he did a roundhouse kick. I ducked to avoid it, looked up and he had disappeared. I was no longer in the dojo, but in the mountains, in Japan. I realized that I now had the body I’d had as a child when I lived there. I remembered this place. My parents had taken me here the day I turned 5. It was a special birthday trip, to enjoy nature and each other. As we started the drive home after a fun day of sightseeing and hiking, I saw a summer camp of boys practicing martial arts outside. There were about a hundred, all sparring in pairs, and all evenly spaced in the field. I was mesmerized. I asked my parents if I could learn. They said no, I was a girl and should focus on other sports, like tennis or track. I knew this was a typical protective parent response, but I wasn’t upset. I knew I would learn someday. I knew his face instantly, but wasn’t sure from where. I waved and he waved back. My parents drove on, unnoticing. When I came to, I was sweating, and remembered nothing of the fight. My opponent shook my hand in ninja fashion, quickly and without feeling, and left through the door kitty corner to the one he’d entered from. As Jin congratulated and hugged me, I looked into the face of the man I’d waved at as a child, realizing I’d always known this face. He smiled for a split second, some combination of recognition and humor playing across his face. His brown eyes flashed a deep green for a moment, and I though I was seeing things. We bowed to each other, and he silently left the room. Life inside the training studio was usually pretty simple. I was given challenges and met them head on. It was a lot of hard work, but there were very few surprises. The outcome was for the most part known. Either one opponent would win, or the other would. The benefits of training were also known, of course. Being in excellent physical shape speaks for itself. There was no clutter here, which made it easy to think clearly. The only ones I laid eyes on were the ones who’d been invited—one could enter this dojo by special invitation only. Life outside the studio: not so simple. I didn’t have an instructor for how to deal with this guy I had my eye on, who seemed shy and wouldn’t make a move. Well, to be honest, I didn’t just like him—he totally consumed my thoughts. It was out of control, and needed to be dealt with. Only…I didn’t want to deal. For the first time in my life, I wanted to run away. I was scared of everything, rejection, or worse. The possibility he might actually like me back. I didn’t know which was scarier. I could face adversaries as I’d learned to do in training, but not this flippin’ firefighter. Outside the studio, before the firefighter showed up in my life, I had everything under control. I felt good about my life as a 20-something nanny. My finances were in order, and life was just peachy keen, jelly bean. I knew I could make a decent income as a nanny, and could learn a lot about how to take care of kids. That’s exactly what I’d been doing for 3 years. Cleaning, learning and earning. I wanted a solid foundation for my life, and stability. I wasn’t good at dealing with change. Little did I know, however, changes were blowing in with the breeze: big changes. I was conceived and born in Japan, and spent the first five years of my life there. I was fascinated by martial arts, but my parents wouldn’t let me learn them, saying they were too dangerous. Even then, I remember thinking that not learning them would be more dangerous. But try explaining that in five-year-old language. We moved to Washington State, but I never forgot the early days and ways, and I yearned to go back. I was born to be bad. I had a fire in me that just wouldn’t let me settle down and live a normal life (whatever that might be, these days). Plus, my nanny job was with a newborn. All the softness and cuddling and baby faces and baby talk just about made me want to puke. It was an easy job, because that baby couldn’t backtalk or throw tantrums—he just cried, and 9 times out of 10, I plugged him up with the pacifier. It worked. Those tenth times were rough, but rare. Such a good baby. One has to find balance in life. This nannying job didn’t put out my fire, so I started taking martial arts lessons. I took them for a year, and I got good. I took them for two, and I got even better. Those last two hours of my day taught me how to toughen up, be strong, and hone those reflexes. In essence, they taught me how to be a fighter. They felt very clandestine, as they were held in the basement of my gym. Only martial artists knew about the place. This included the gym’s owner, Jin, who kept his skills a secret. Since I learned both Japanese and Chinese forms, I referred to Jin as both Sensei and Sifu. Being a business owner, he had to keep a lot of things secret. So I was feeling fairly decent about life, in general. I had a chance to convince this firefighter he couldn’t live without me. I would keep the training quiet, and what he didn’t know wouldn’t hurt his pride. He could remain feeling like Mr. Studly without ever knowing my secret. Yes! If you’re trying to finish a book and it’s been sitting around in some stage of unfinished chaos for eons, I highly recommend signing up to write during National Novel Writing Month, or nanowrimo.org. It’s during November every year, and the goal is to get to 50,000 words without stopping or letting your inner editor take over and slow your progress. This is how I wrote both books in the NN series. I finished them some months later, but got the initial 35,000 words out the first time and more the second. And really, what else is there to do when the nights are so cold and dark and dismal and short, than delve into a project that keeps you warm from the inside? I believe there are so many unfinished novels of brilliance out there, and the light from the passion to write burning inside these authors could light up such a cold night for miles…They just need to pick up the proverbial pen again. Also, read as much as you can: every type of writing you can get your hands on, from the back of a cereal box or a shampoo bottle (Aussie products for example have creative, witty descriptions) to guidebooks to miniature books they sell at Barnes & Noble counters, to magazines, to newspapers (online articles), to all genres of novels, and beyond. This will make you a better writer. Pay attention to what people are reading in public places. This will help you learn what’s selling. Make your book a Facebook page, even if it’s not finished, and market, market, market. Social networking is amazing free marketing. If you have a little extra money, make an ad on Facebook to get your book’s page likes up. Also, Goodreads is absolutely amazing for advertising–have a Giveaway, which will help get the word out. Have book signings at local fairs and bookstores. Also, I don’t recommend using a print on demand publisher. It is too expensive, and they end up wanting more and more money to market the author when much of this can be done by oneself (with friend and family help – this makes it easier and more enjoyable). Authors shouldn’t pay to be published, but if they don’t want to wait to be accepted by a literary agent and big publishing company, they should go through a site like Createspace which offers affordable printing and comes out looking professional. 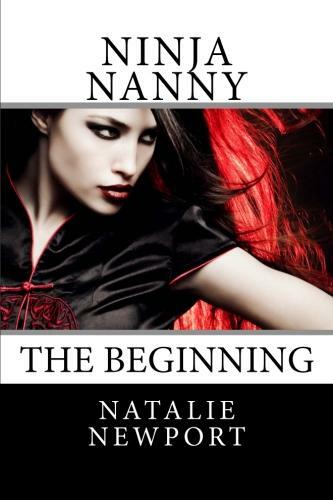 ← Goodreads Giveaway, ends 2/8/13! Enter by clicking the link in this post. Stephen King is my favorite author as well as a guide for writing. Thanks for participating in the blog hop! Enjoy! Great excerpt and you’re right about having to read a lot. In my opinion, to write well is to read well. It’s the last day of the blog hop and I wish you success with your writing. And by the way, I won Nanowrimo three times.